I went to the gym by my house on Wednesday and am planning to go back today. Feeling sore from exercise is a special kind of pain. I'm still planning on enjoying the Christmas treats for the next couple of weeks, but the exercise will help with that. I used to hate winter, but now I don't think it is too bad. We had our first really cold days but Q and I bundled up and still went out for some walks. What a sweet little smile. As much as I love our book club books, I also like this little break we get before our first book in January because I get to read some lighter books. I have put a hold on Winter Stroll at the library and also picked up A Hundred Summers by Beatriz Williams. I love sitting by the tree to read. The situation in Aleppo has always been upsetting, but I feel like I'm paying more attention to it now. There is nothing that I can personally do for those people right now, but we can donate something to a group that can help them. 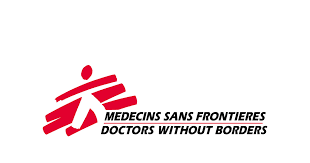 There are many websites that can point you in the right direction, but a favourite charity of mine is Doctors Without Borders. They do good work and they are in Syria doing what they can. I don't pretend to know the nuances of the conflict there, but I do know there are children that have no choice about being there and they are suffering. On a lighter note, here is a photo of E at his school's craft fair from yesterday. They had an art activity set up for the kids. Q and I hit up the mall yesterday. We went early enough to get a close parking spot and get most of our shopping done before it got too busy. I had some lunch in the food court (Chipotle!) before heading home. Our backyard turns into a sledding hill when there is enough snow. E tried it out last night after school. The snow was a little soft but it should be perfect later today. So jealous of your snow!! And what a cute moose hat! Stopping over from the linkup. Hope you can hop by my blog as well. Happy Friday!